Also feel free to check out my main page about cannabis grow lights! This page talks just aboutHPS grow lights while the other page covers all grow lights. Little ventilation or no way to get air in and out through a hole or window Limited vertical space(such as inside a cupboard). 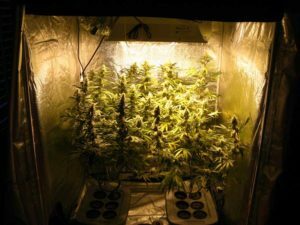 Learn about growing cannabis with CFL lights, which are suitable for small grow spaces.